Alessandra is a sixteenth-century girl in need of a twenty-first-century adventure. So when the fates hear her plea, she shows up on her cousin’s doorstep, ready to experience this other world for herself. Everything about this century is baffling, including the gorgeous surfer Austin. But Alessandra didn’t come to sit on the sidelines, she’s ready for an adventure. And that’s where the real fun beings. Let me just start out by saying I loved everything about this book. While I really enjoyed the first book, I was a little unhappy in the end there. If you know me and my romantic heart, you know why. Going into Less’s story, I was a little nervous, I have to admit. But I am happy to report, I was not disappointed. Honestly, I don’t think Rachel can disappoint me. I pretty much adore everything she writes. Anyway, off track here. I really enjoyed Alessandra’s character in this book. I liked seeing her blossom out of her shell, exploring the different sides of her personality. Her contrast with her cousin Cat is evident, but the dynamics between those two are great. They compliment each other without being too similar and I loved that. Now, the swoon factor in this book is mighty high. I freaking loved Austin. I loved how much of him we saw, how much we got to know about who he is. Just like Less, I wanted to hug him to pieces for most of the book. And his possessiveness when it comes to Less? Oh my… Okay, I’m done now. Also, I really liked that we saw Cat and her own story brought to light a little bit. I’m glad that she’s getting a happy ending as well. I know that happy endings don’t always mean finding your Prince Charming, but it doesn’t hurt. And although I kind of wish…nope, not going there. You just have to read both books and figure things out for yourself! Alessandra’s journey is one fun adventure. This book will have you laughing and on the edge of your seat, which to me spells one fun ride. I’m telling you, I’ll read anything Rachel writes. 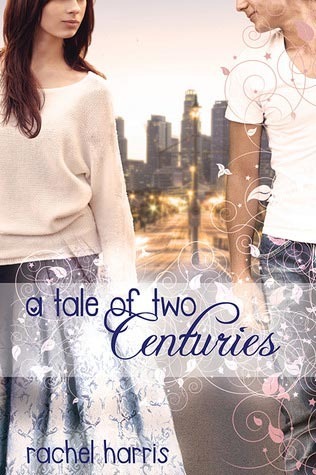 Go grab a copy of A Tale Of Two Centuries for yourself and experience the awesome story of sixteenth century sixteen year old girl dealing with twenty-first century problems. LOVE this post! Thank you for spotlighting A Tale of Two Centuries 🙂 I'm so glad you enjoyed it!! I still need to read the first book. I won it it in a giveaway and it looks so adorable. I'm glad to hear this one is just as good.